The trip to Machu Picchu is one of the most incredible ways to disconnect from the routine; But there are certainly many people who do not imagine the internet out of their daily lives. For this reason we bring you a guide on how to connect to the internet in Machu Picchu – Peru. We are sure that in this magical place you will find a healthy balance between time spent online and “disconnected”. What are the internet connectivity options in Machu Picchu? Consider that in any case of connectivity, speeds may vary. Connecting to Wi-Fi (wireless internet) from your smartphone or from some other mobile device is one of the best ways to avoid roaming charges and stay connected while traveling. 95% of hotels in Aguas Calientes offer Wi-Fi. Likewise, most cafes, restaurants and bars offer wireless connections at acceptable speeds. You will see many Wi-Fi signs as you stroll through the streets of Aguas Calientes (Machu Picchu village). In case you have an unlocked phone and purchase a prepaid SIM card, you can contract local internet packages; These are offered by the main telephone companies, you can find packages from S / 3 (with 50 Mb), to unlimited packages. To know how to get a SIM card in Machu Picchu or in Cusco – Peru, visit How to stay connected in Machu Picchu?. Note: This is the only way to have internet in the Inca City of Machu Picchu, without spending on huge roaming accounts. An alternative to using Wi-Fi on your personal device is the use of public internet booths. In Aguas Calientes (Machu Picchu village) there are several public Internet booths within walking distance of the city center, prices vary between 1 and 2 dollars; However, keep in mind that these cabins are not completely safe, so we do not recommend performing operations, where you have to enter important information. IMPORTANT!!! Pay attention to the configuration of your cell phone to avoid incurring roaming charges. Disable data roaming, this will prevent your smartphone, email, Internet browser, etc. applications from using the data connection plan of your home country. How fast is the internet connection Machu Picchu? Beyond if there is internet in Machu Picchu, we know that the most important thing is the speed at which to connect during your trip. 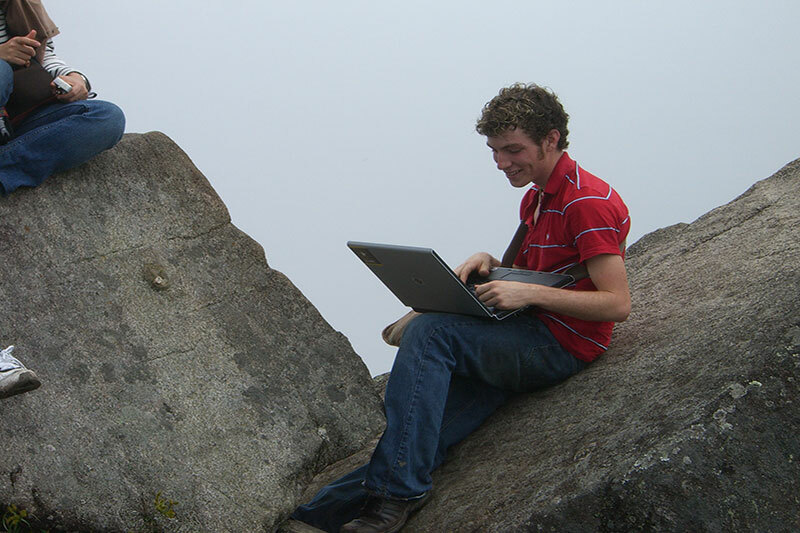 Internet connection in most cities in Peru is reliable, although this may vary slightly in the Andes and Amazon Rainforest. The city of Aguas Calientes (Machu Picchu Pueblo) receives a large number of visitors, so you can find stable connections; Although like anywhere in the world, there may be network falls that may last a few hours. What are the internet problems in Machu Picchu? In most cases, you will have no problems while connecting to the internet during your trip to Machu Picchu; You can check your email, Facebook, Twitter and other social networks. But you may have some difficulties with pages or applications that transmit large amounts of data, or with the internet itself at peak times. If you talk to a friend from home via Skype in Machu Picchu (for example), you may have to disable the video chat feature to communicate through text. In the case of WhatsApp, you will not be able to send videos, have a voice chat or make a call during peak hours (8am, 1pm and 6 – 9pm). Can I download music and videos in Machu Picchu? If you like something of Peruvian music on your trip to Machu Picchu, you should know that in many cases internet connections in Machu Picchu are unable to support the download of Music or videos on cell phones and tablets. To avoid frustrating loss of time, we recommend performing such downloads on a PC that is physically connected to the internet. Book your Machu Picchu ticket, choose the day of your visit and your ticket type Machu Picchu, then call us, it will be one of the best investments of your life.